New standards for certified grass-fed organic dairy won’t allow cows to have any grain in their diet and will require that they graze at least 150 days a year, the two cooperatives behind the new standards said. The standards were announced Sept. 11 by Organic Valley, based in La Farge, Wis., and Kinderhook, N.Y.-based Maple Hill Creamery. They are likely to go into effect early next year and will include a new label indicating certification from a third party. The new standards will require the Department of Agriculture’s organic certification, followed by a laundry list of new dairy production and handling standards that focus on the well-being of the cows. Maple Hill Creamery farms have always fed their cows only grass and followed USDA-certified organic standards, CEO Carl Gerlach told Bloomberg BNA. “We invest in every aspect of the standard and we’re confident what we’re putting in our products is grass-fed organic,” he said. A spokesman for Organic Valley, Hans Eisenbeis, told Bloomberg BNA the new standards are the first to include a certification process for grass-fed organic products. 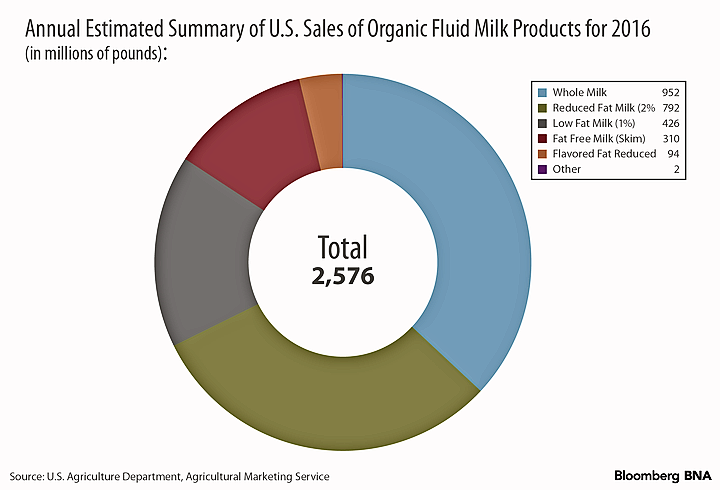 Founded in 1988, Organic Valley calls itself the nation’s largest farmer-owned organic cooperative, made up of about 2,000 farms producing 40 percent of organic milk in the U.S. The organization is affiliated with family farms overseas as well. The first federal regulation for organics was the Organic Foods Production Act of 1990, which required the USDA to develop a national standard for organic products. This established the National Organic Program, a federal regulatory framework that covers fresh food and processed agricultural food products that may be sold as organic. Farmers and food processors who want the USDA organic seal must go through an accredited USDA certifying agent. Eisenbeis and Gerlach said they would like to see the new standards become federal regulations in the future. Consumers’ confidence is one of the main reasons for the new standards, Tim Joseph, founder of Maple Hill Creamery, told Bloomberg BNA. “It is about truth in labeling and giving people what they think they have,” he said. Maple Hill Creamery opened its doors in 2009 and sources milk from more than 100 family farms. Gerlach said a public relations effort will be made to get consumers acquainted with the new standards. “When consumers see grass-fed organic we want them to have the confidence that it is a certified, traceable process start to finish,” he said. 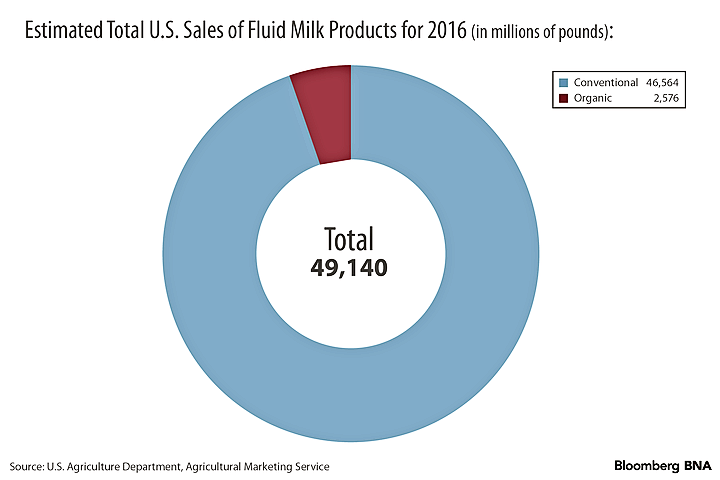 Fluid milk products sales for January 2017 to April 2017 reached more than 16.1 billion pounds, the USDA’s Agricultural Market Service reported in June. Organic production practice accounted for 860 million pounds of the total. That represented a 0.6 percent decline from the previous year to date. One dairy expert expressed some concerns about the no-grain standard. “Cows will be less likely to produce as much milk with a grass-only diet and will need to be constantly rotated,” Mark Stephenson, director of dairy policy analysis at the University of Wisconsin, told Bloomberg BNA. Most of the farms working with Maple Hill Creamery have an average of 50 cows per herd, said Gerlach. But that’s “just the cost of doing business,” he said.